Click on an event poster for more details! We're delighted to be hosting Corvid Eyes & Little Bat Club for a special pop up exhibition 'Little Shop of Horrors' on all hallows eve at our little art studio in Rosemount! 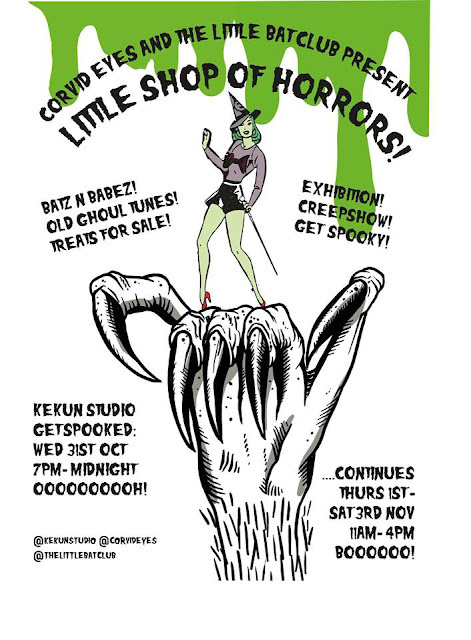 Expect spooky tunes, creepy paste ups, ghoulish art work and a couple of batty bats! Halloween dress is mandatory but the show will run from the 31st October til 3rd November so a few days to check it out. Hopefully it the first of many, find the event details here! 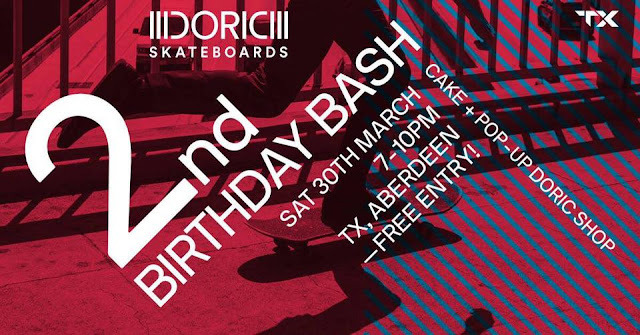 Gary from Doric Skateboards has hooked up with some friends to put on a night of old skool hip hop, taking in classics from the golden age (the 90's) and weaving it together on the wheels of steel. I kinda missed out on a lot of this genre as I was stuck in indie kid mode growing up and its amazing the wealth of music I'm still discovering. You can check out the full event details here. If you get excited by men rubbing cactuses then Sound Festival might be worth checking out. 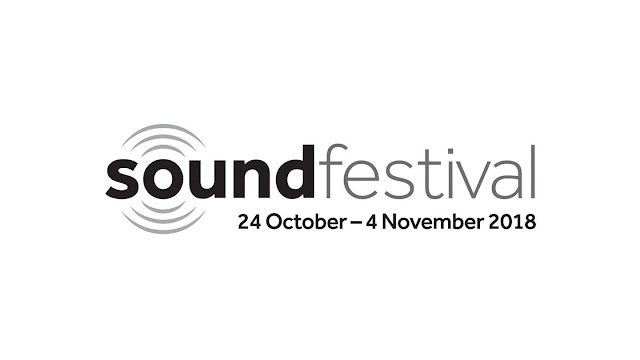 You can find out the full programme of events for this years Sound Festival via their website here. 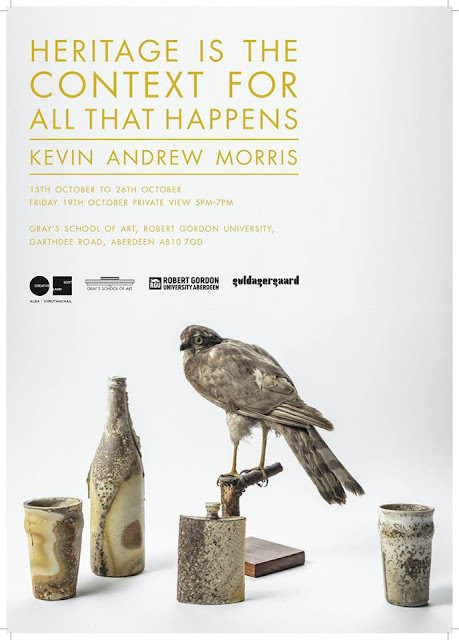 Ceramic artist and maker Kevin Andrew Morris opens a new show at Grays School of Art where he also currently works as the ceramics technician. 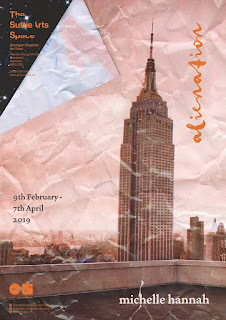 Titled 'Heritage is the Context for all that happens' the show is an exploration of Kevins practice and his most recent research trip to Denmark. You can find full details about the show here! Citymoves Dance Agency are in the midst of their annual Dance Live festival. 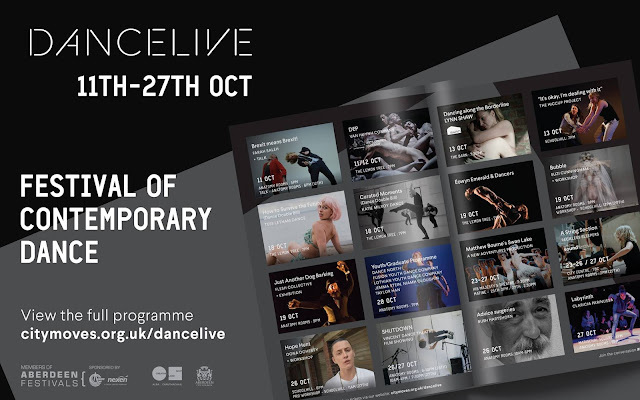 Featuring performances from leading contemporary dancers and performances in a host of venues there's sure to be something for everyone. You can find out more about whats on via the Citymoves website here! Local jazz band Trio Nadurra release their debut album 'Under the Stars' with a special live show on Friday 19th October at the Blue Lamp. 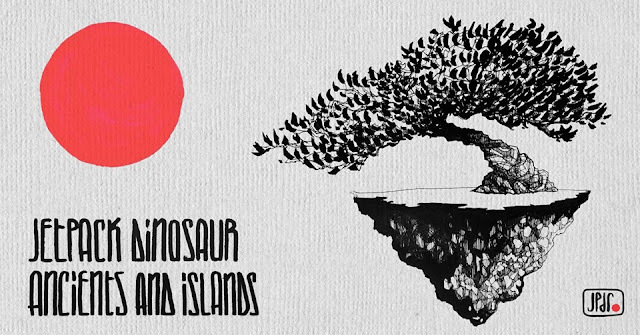 Featuring original compositions and a few jazz hits, the album is sounding like a nice vibe for heading into Autumn and live these guys will blow you away! 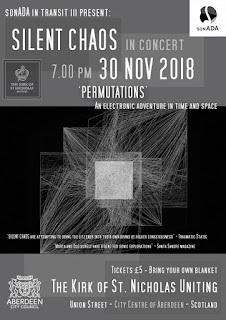 You can pay on the door and find the full event details here. Francis Walker's latest solo show 'So Far...' continues at Peacocks W OR M space. Featuring some new prints along side older works, the show is a fine collection indeed and showcases the singular talent of not only Francis but the print team at Peacock Printmakers. 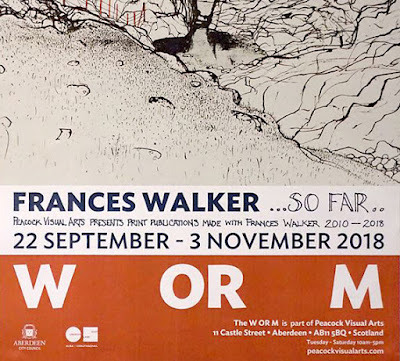 The show runs til the 3rd of November and if you get down in time you might be able to pick up an original show print for only £50, a bargain for a Francis Walker print! 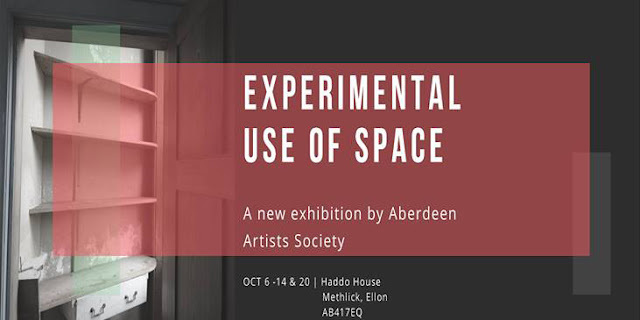 Aberdeen Artists Society have been pulling together a selection of artists for a special show at the esteemed Haddo House. 'Experimental Use of Space' will see court yards, kitchens and servant rooms turned into contemporary art spaces along with more traditional pictures on walls. 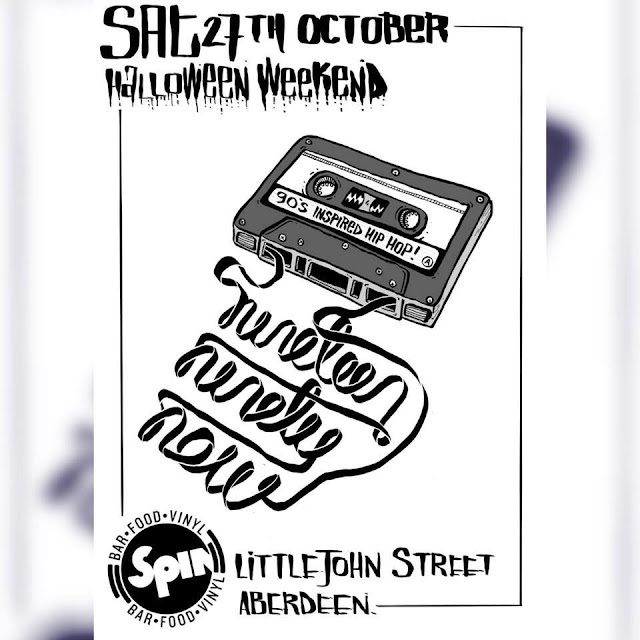 Kicking off Saturday 6th October, check out the event page for the full run of dates to check it out! 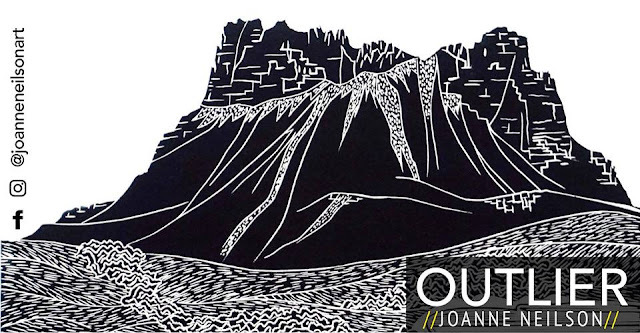 'Outlier' is a new exhibition by Joanne Neilson and will be on show at Parx Cafe from the 5th October. Parx have had a great run of shows and being located in the West End provides a great excuse for getting out of your 9 to 5 and picking up a fine lunch with added art bonus. 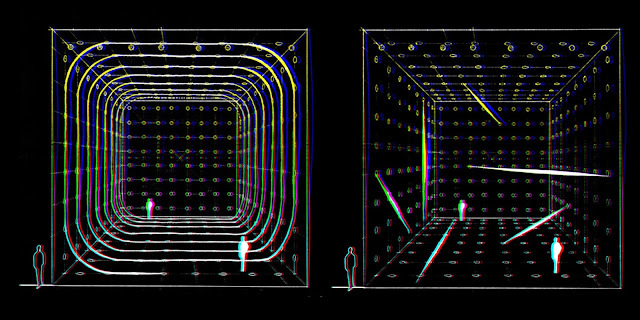 You can find details about the opening event here. My partner in art crimes and all round inspiration Mary Butterworth has been working long hours to finish a load of new paintings for the Butterworth Gallery Autumn Exhibition. Its open at the gallery from the Saturday 15th September and features new work from Mary and her dad, esteemed landscape painter and grumpy future father in law Howard Butterworth. 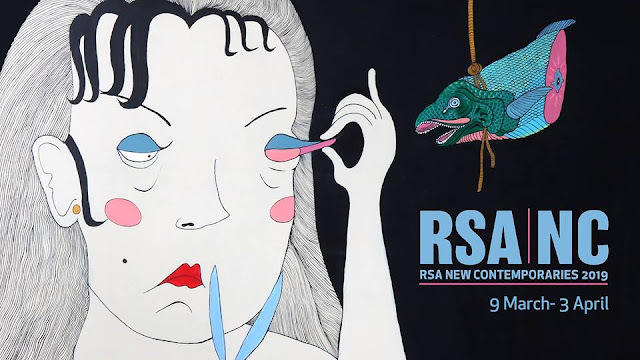 The show runs til 28th October and you can find all the details here. NEOS (North East Open Studios) weekend is upon us! With hundreds of open studios from makers, painters, printers and artists all across the North East, now is the perfect time to pick a brochure, check who you'd like to visit and hit the road in search of the finest in North East crafts! Check out the NEOS Facebook page for more! 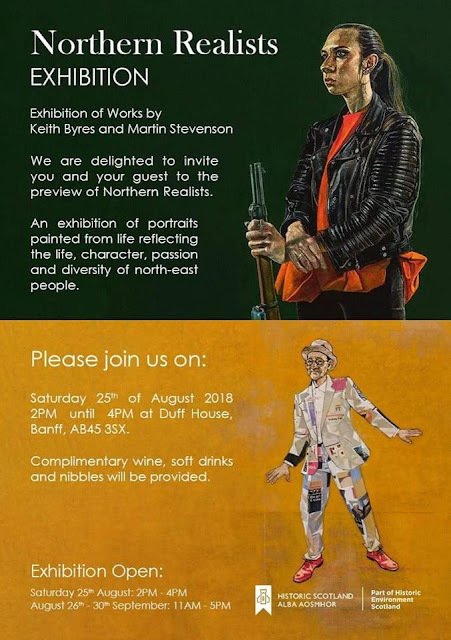 'Northern Realists' continues at Duff House and will be on show til the end of September so another one to load up the car for and hit the country side! 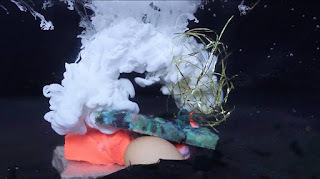 Tendency Towards finish up their show with Roos Dijkhuizen 'Becoming Known' this week with a special flag sharing & pot luck dinner party this Friday from 7pm at the No 8 Chattan Place space aka Curated Stories Studio. Find out the details here. 'Sponsored Content' by Jess Connor aka Diet Bleach is on at Foodstory from 1st - 30th September with a special closing party! Kick it! 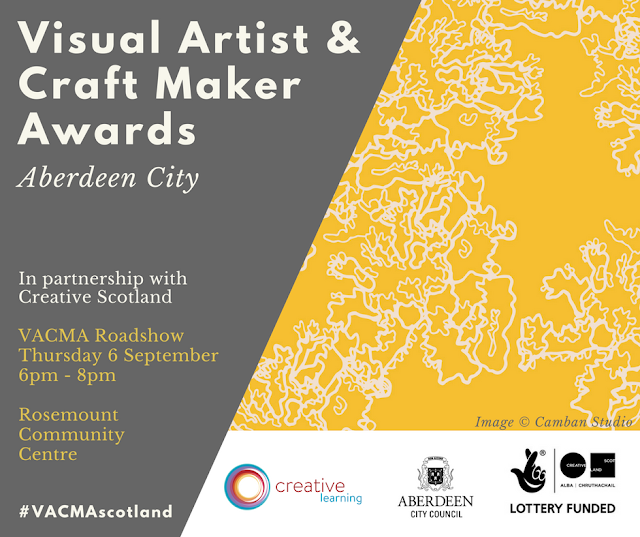 The council is running a session with Creative Learning to showcase past awardees of the VACMA funding and how it helped them in their creative endevours. 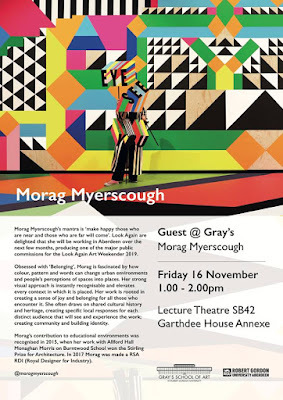 Speakers include Shirin Karbor Illustration and a few others so sure to be some insightful titbits. You can book your place for free here. 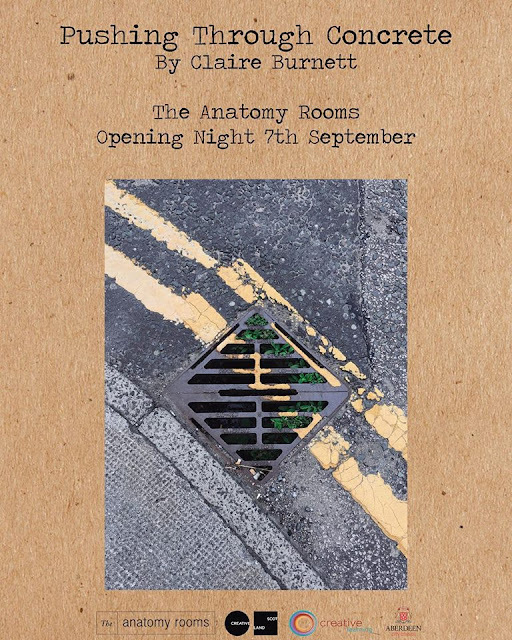 'Pushing Through Concrete' is a new exhibition from Claire Burnett, student resident at The Anatomy Rooms. Get the latest from the studio spaces via their website here. 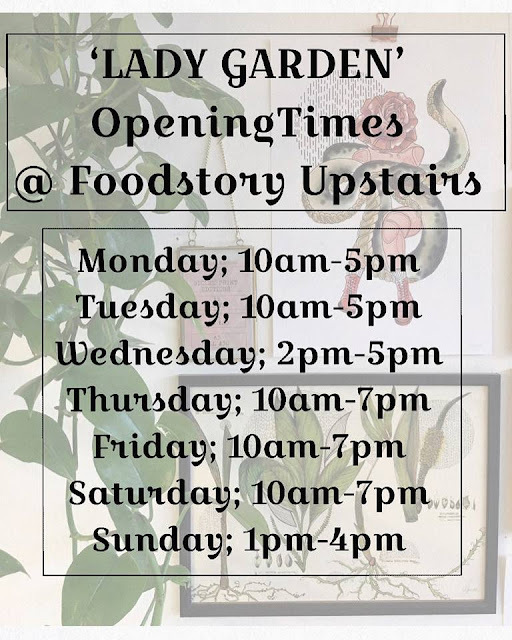 There's still a week left to see Kilo Alpha Editions solo show 'Lady Garden' at the upstairs space in Food Story! 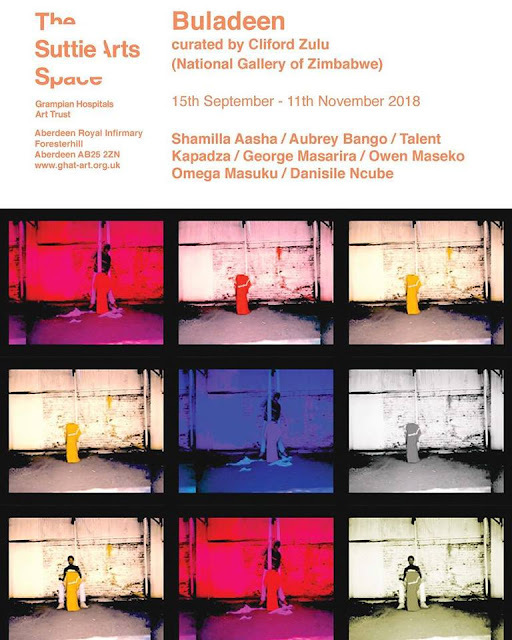 The show finishes on Thursday 30th August. 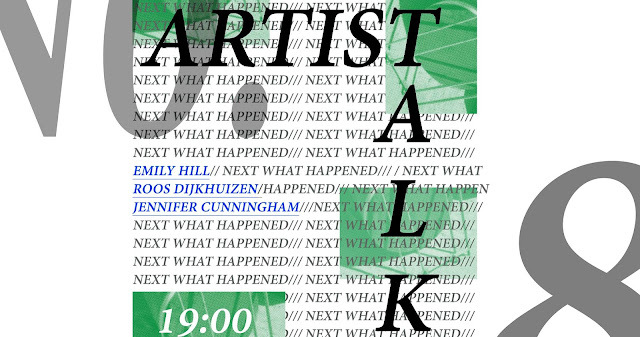 Artist Talk tonight at No8 with Emily Hill, Roos Dijkhuizen and Jennifer Cunningham. Event details can be found here. Painters Keith Byres and Martin Stevenson open a new show at Duff House. Keith has created some stunning portraits of local artists including the suited figure above, performance artist Peter Mcrae. Defo one to check out and it runs til 30th September. Throwup Gallery continue to lead the way with a new legal wall in Donside as part of the Wallspot organisation who provide legal walls to travelling artists all over the globe! I just hope the rain stays off so we can have a bash! 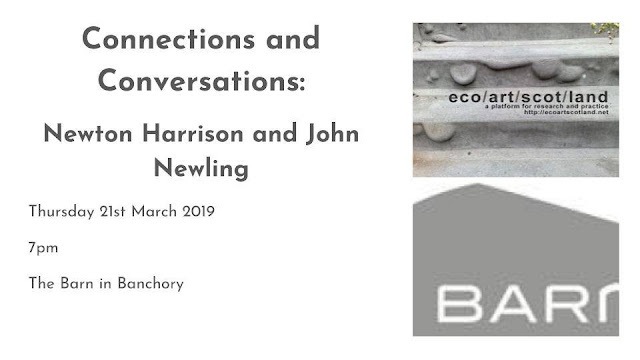 Full details of the launch event can be found here. If you happen to be in Stavanger this month then be sure to check out 'Grey Scale: The Art of Cutting and Spraying' at Nuart Gallery. 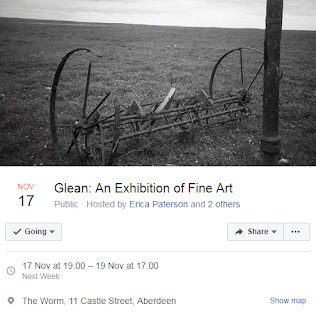 A fantastic space nestled on a little side street in the middle of town, the gallery is an extension of Nuart Festival and showcases work from established street artists and up and comers. With work from friends like ELKI stencils and M-City you're sure to find something for the walls at home! The good folks at Curated Stories have handed over the keys to their 8 Chattan Place space to a group of recent Grays graduates who are curating a series of summer events. 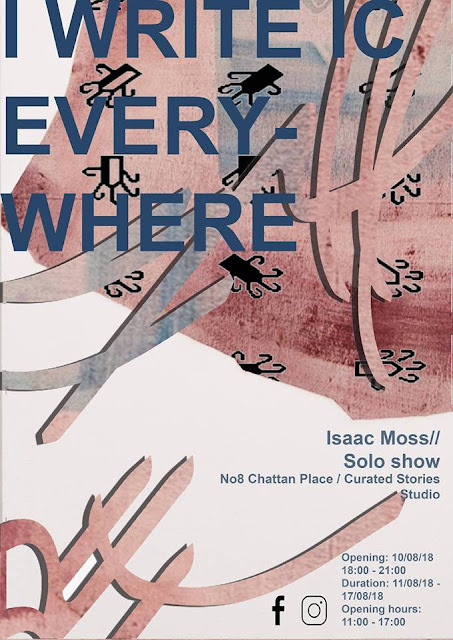 Kicking off last weekend with a special artists zine pop up shop (gutted I missed it, love zines and art books) this weekend will see a solo show of paintings from Edinburgh artist Isaac Moss. 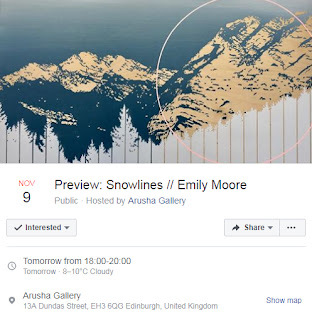 Opening is tonight (Friday 10th) and the show is on til the 17th August so be sure to check it out and check out the Curated Stories store too! 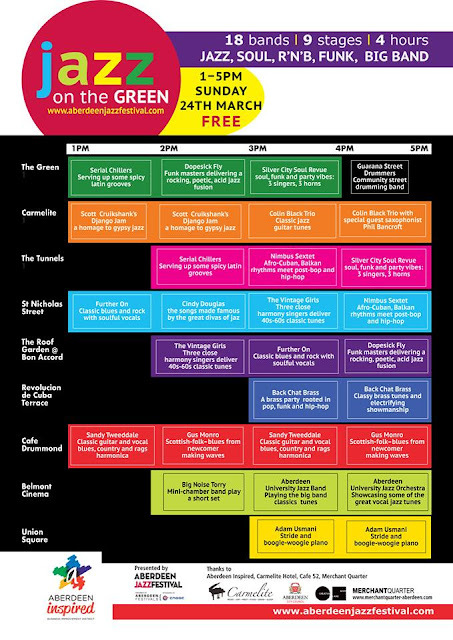 You can find out the full programme of event here. 'Void Bet' is a new show from Dundees The Brownlee Brothers. Having seen their degree show I can only imagine how much more warped their work has become. 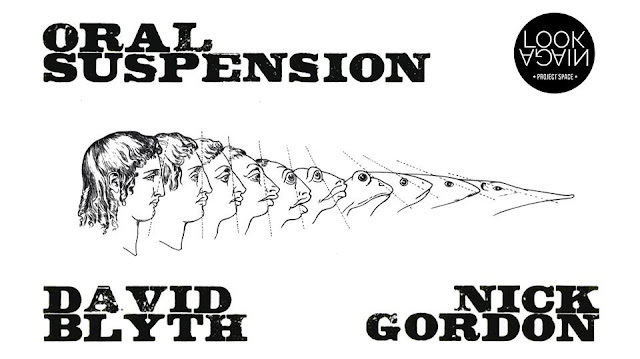 Great guys, interesting art, be sure to check it out! You can find the full event details here. 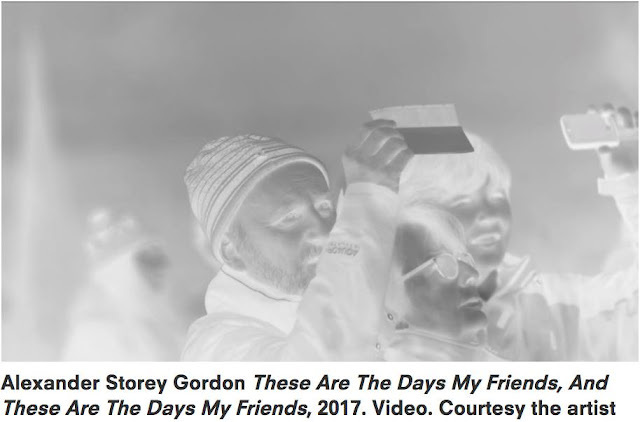 Mustard Blanket is the newest show coming to the Suttie Art Space at ARI. 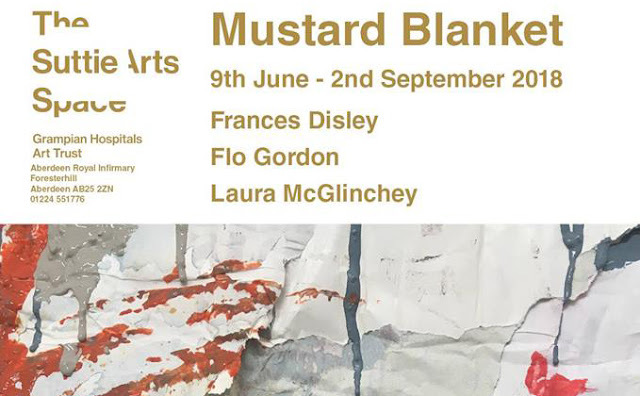 Featuring work from former Grays Graduate in Residence and one of my favourite artists Laura McGlinchey along with Flo Gordon and Frances Disley. It also kicks of on my birthday, 9th July (not June) so be sure to check it out before September! 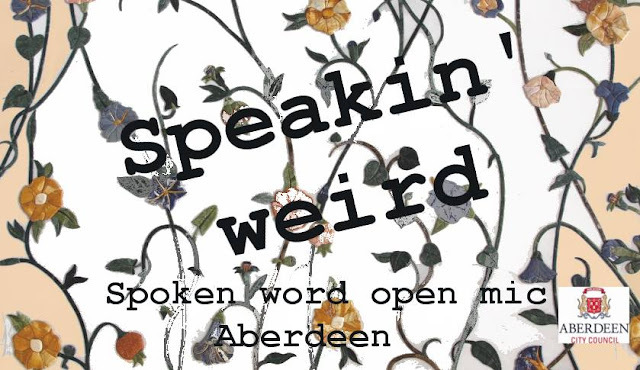 Speaking Weird return tomorrow for another night of spoken word, poetry and live music. Wednesday 8th August at Spin on Little John Street. Event details can be found here. 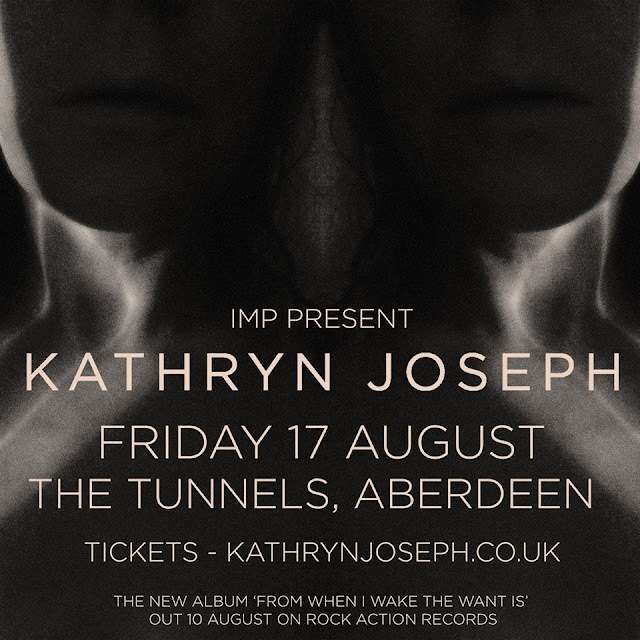 Kathryn Joseph returns to the Tunnels and also launches her new album 'From When I Wake The Want Is' on Rock Action Records. 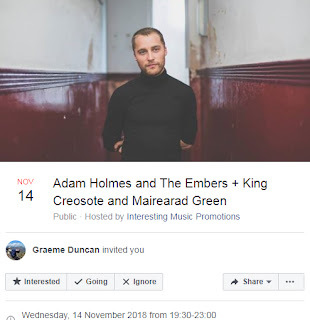 Hailing from the North East its great to see Kathryn finding success, she's come a long way from those gigs at Project Slogan back in 2011 and 2009! 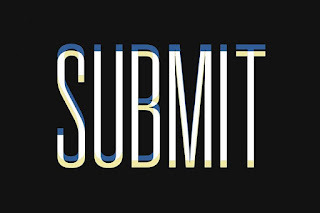 You can find the event details here and keep up on all Interesting Music gigs here. 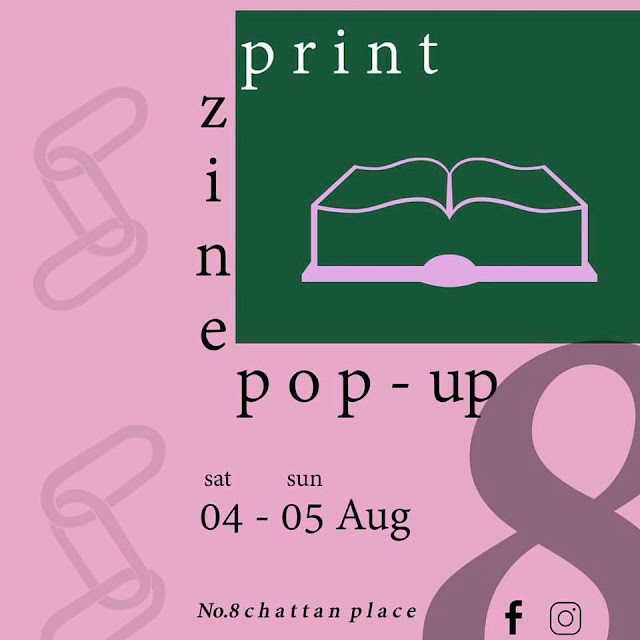 No.8 Chattan Place is the place to be this month as they kick off a 2 month residency featuring art pop ups with work from new graduates and local makers. 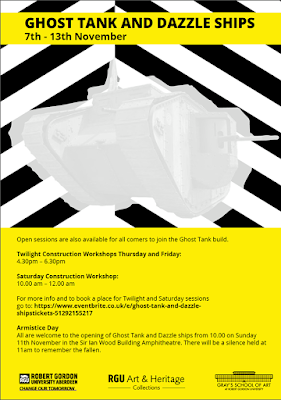 Exhibitions and zine pops up are on the cards with more events to be announced. The Chattan Place shop is a great spot and Curated Stories shop is just up the road and well worth a visit so be sure to check em both out! You'll find full details on the up coming events here. So onto a few events that are coming up in August! 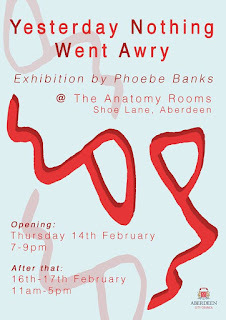 First up Jo Muir has a new solo show at The Anatomy Rooms next Friday. 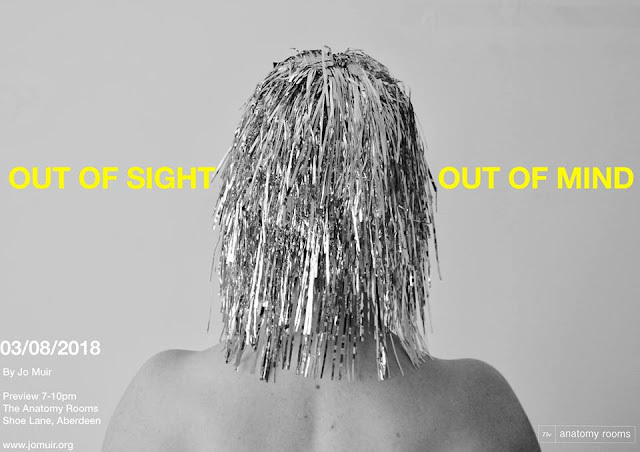 'Out of Sight, Out of Mind' is the final show as part of the 'Underpinnings Programme' and if Jo's last exhibition is anything to go by (read about it here) then it's sure to be an interesting night. You can find the full Facebook event details here. 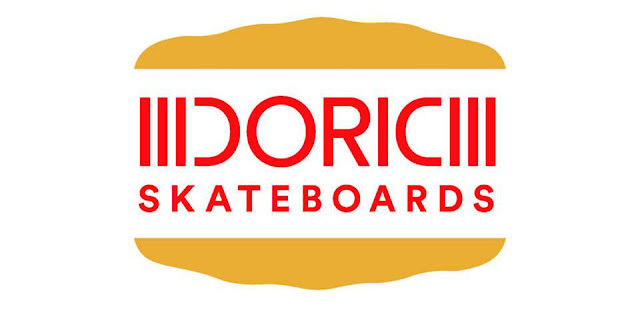 Next weekend also see's Doric Skateboards take over the Belmont Filmhouse Kino Bar as they launch a new skate deck along with an exhibition of classic skate decks (if Gary's loft stash is anything to go by then expect some cracking old skool pieces) along with all the Doric boards to date. 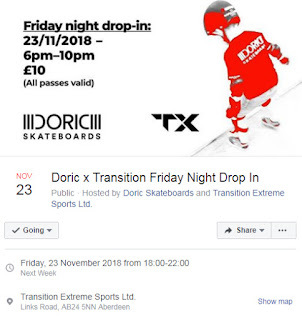 There will be a pop up shop so you can grab some Doric merch and they've also organised a special film screening of the classic skateboarding documentary Dog Town & The Z Boys. You can find the full Facebook event details here. 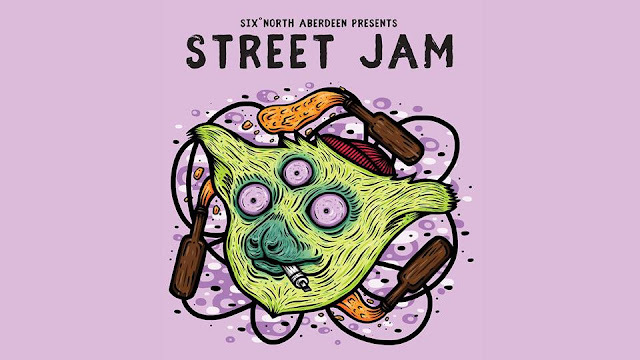 Six Degrees North are back with another 'Street Jam' on Saturday 21st July featuring live art from a selection of local artists including Stuart Allan, Ugly People, Katie Guthrie and Tatch Oi. The painting kicks off at 2pm, entry is free and there'll be vegan delights from Foodstory, live DJs and an open canvas that anyone can draw on! You'll find the full event details for the Street Jam here. 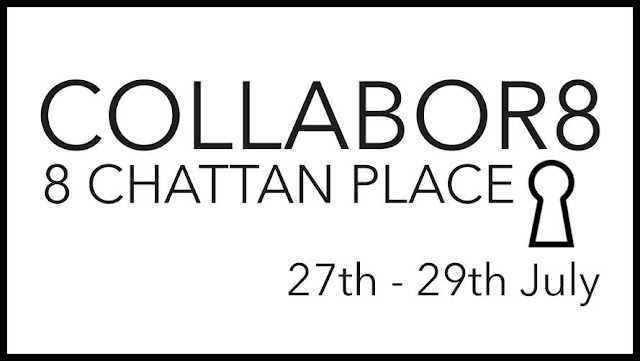 COLLABOR8 is a pop up shop with guest artists and makers selected by the wonderful Curated Stories & Westburn & Granite. 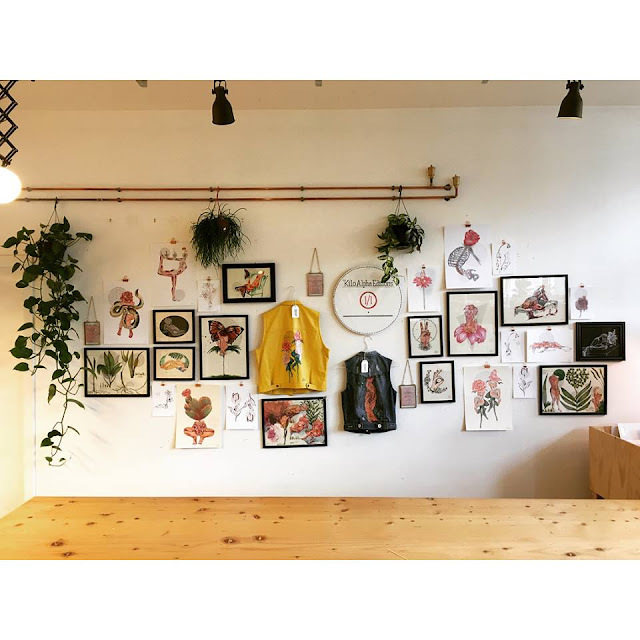 The opening night will see a guest talk from print maker extraordinaire Ade Adesina and the shop on Chattan Place will be filled with some great makers including Fernweh UK, House Plants Love, PaQ Design and artist David Ian Brown. You can find the full details for the event here. 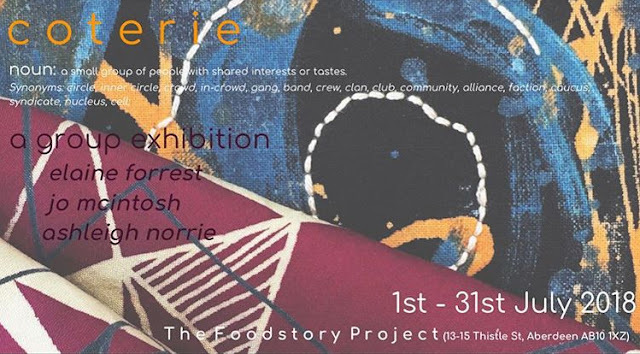 Coterie is a new group show from Elaine Forrest, Jo Mcintosh and Ashleigh Norrie. The trio will be showcasing work up stairs at the Foodstory Project space directly above Foodstory cafe. 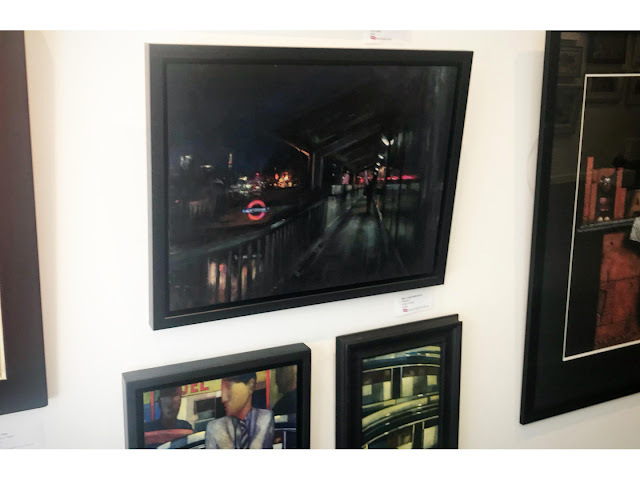 I caught some of Jo's work earlier in the year at Parx Cafe and I've been following Ashleigh on instagram, both producing fantastic so it'll be great to see more in the real world! 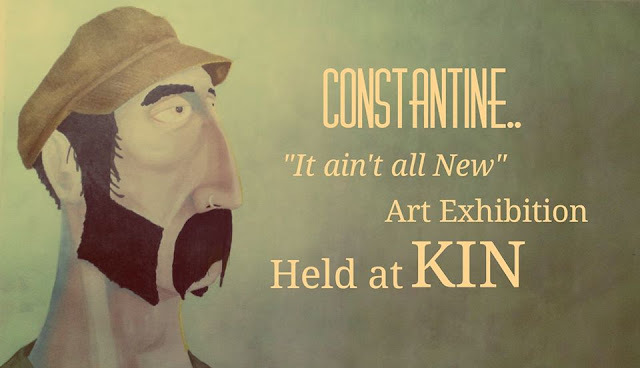 The show runs from 1st to the 31st July and I'm assuming Sunday will be the opening, more details on that soon! 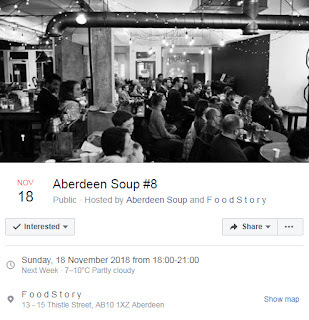 Aberdeen's Scarf designers are teaming up for a special sample sale taking place at Foodstory on Saturday 28th July. With Painted Doors artists Helen Ruth and Lindsay & Yoshi onboards I'm sure there will be a world of silky delights to discover. 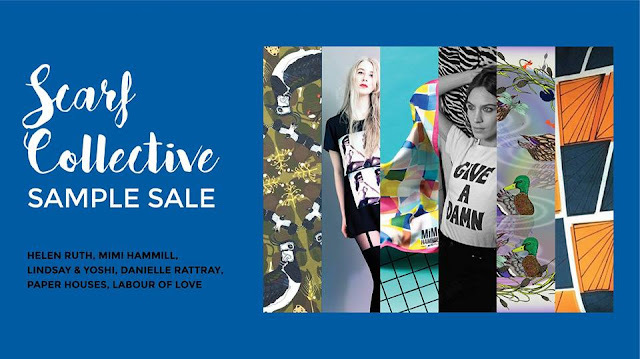 You can find full details about the Sample Sale here. One of my favourite DJ collectives the Fair Play Crew will be taking over the Foodstory Project for a night of music and visuals on Saturday 28th. 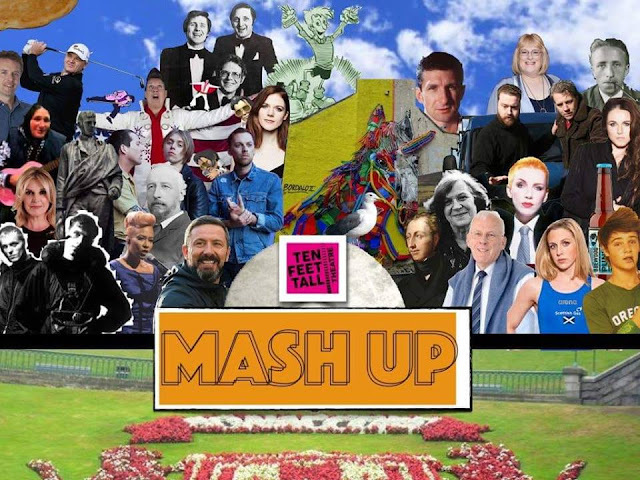 Bringing fresh sounds from Aberdeen and beyond, the Fair Play Crew mix a nice musical blend that should have you dancing. Also having hosted two parties at the foodstory space I can vouch for just what a nice space it is to hang out in, especially with the cheap food deals and BYOB prices. 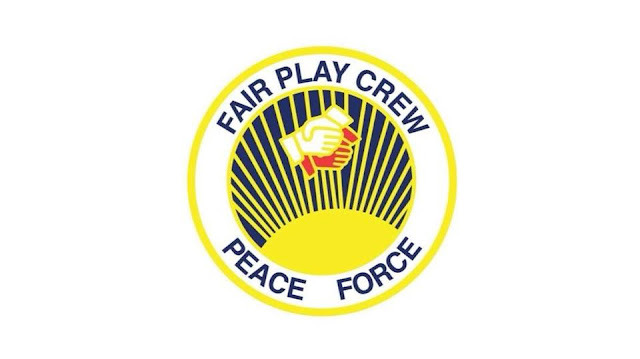 You can find out more about the Fair Play Crew here. 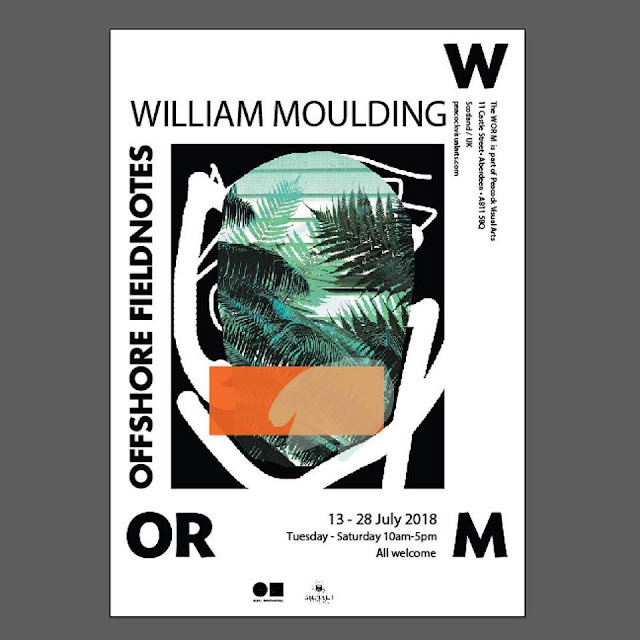 Friend and screen printing master William Moulding has his second solo show with Peacock Visual Arts opening on Friday 13th July. 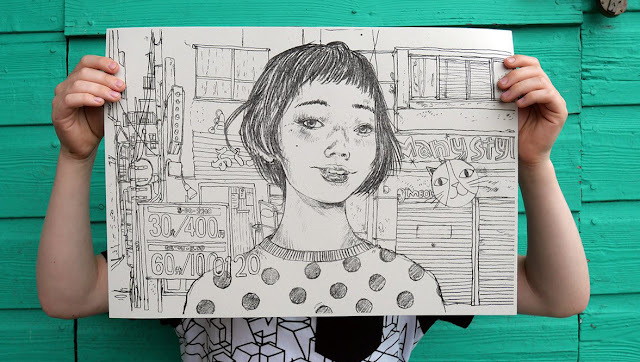 I've been a big fan of his work and he's continually pushed his prints into new territory. 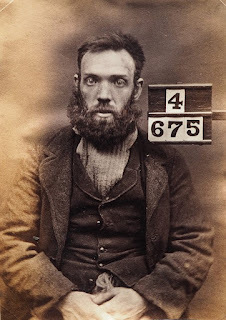 With a recent inclusion in the Jealous Needs You show in London its great that Peacocks will be hosting an extensive show of Willies recent works. 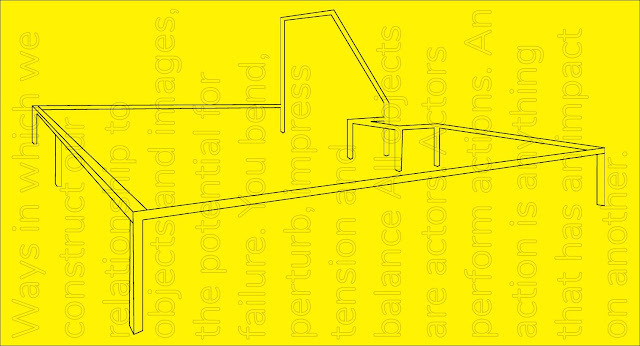 'Offshore Fieldnotes' runs at Peacocks W OR M space from 13th to the 28th of July. 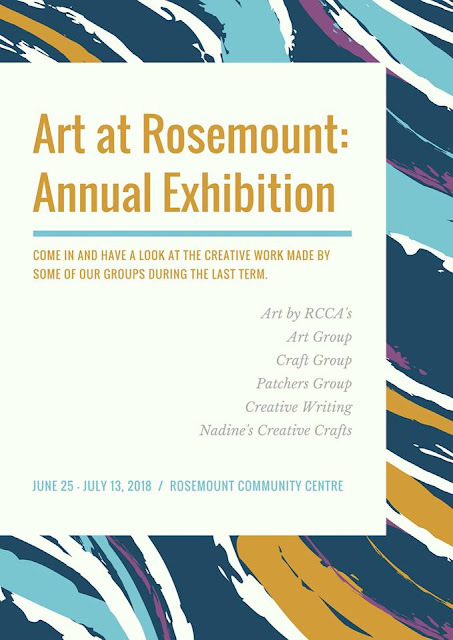 Various users and groups from the Rosemount Community Centre have put together their Annual Exhibition which is on show from now til the 13th July. 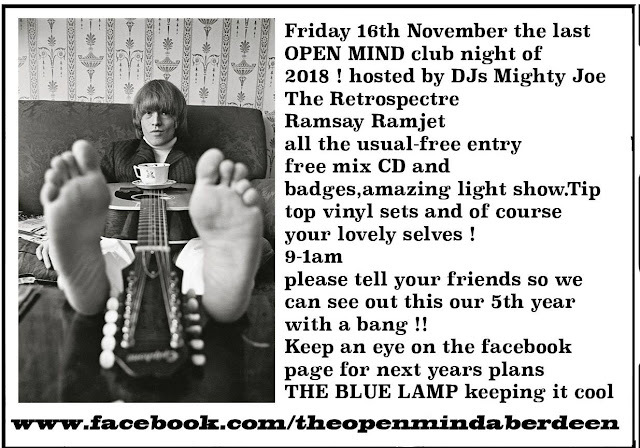 As often happens a friend luckily just shared this direct from their facebook page which you can find here for more details. The exhibition runs til 14th July. I'm back at Foodstory on the 14th of July for another night of all vinyl cosmic hits. 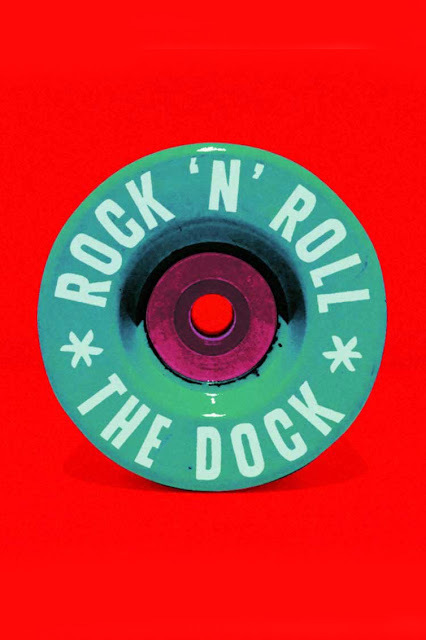 Expect everything from Fleetwood Mac to Post Malone with a heady dose of soul bangers, 70's disco and 80's hits with indie bangers for good measure! Its free on the door or £3 if you want to take in some beers with £5 vegan all you can eat food deals also available if you prefer to sit and take a load off. Event details can be found here. Gallery Heinzel have their annual 'Summer Show' featuring a wide range of works including sculptures and paintings. 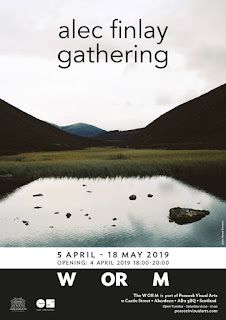 My partner Mary Butterworth has a newly finished painting included in the show this year along with new work from Anna King and other notable artists. For more details check out the Gallery Heinzel Facebook page. 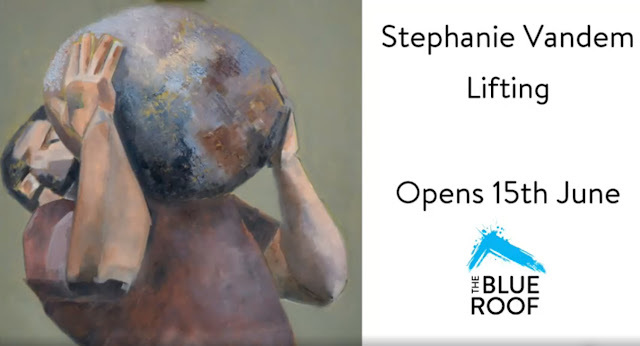 Painter Stephanie Vandem opens a new show 'Lifting' at the lovely Blue Roof gallery located out in Oyne. Stephanie looks to the highland games for inspiration and her impressive large scale paintings embody the strength and power of the stone lifters. 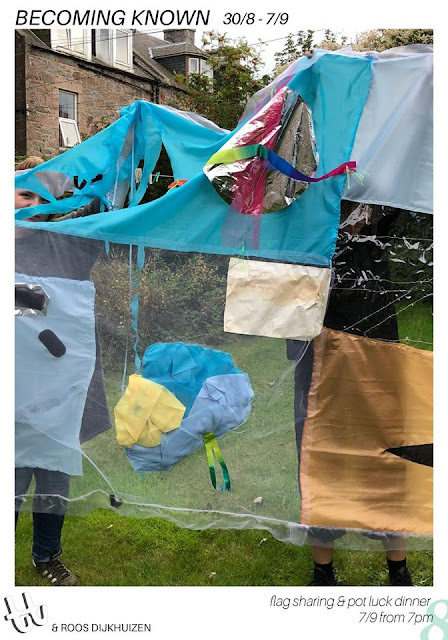 Junction Arts will be celebrating 10 years of existence with a special exhibition of work from over 40 artist's they have shown and worked with in the last decade! 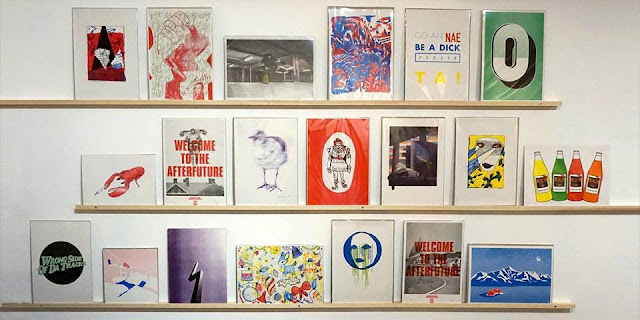 The team at Junction Arts have put a lot into the business and helping cultivate the local design scene which is incredibly vibrant and diverse and have been a real mainstay and advocate for local design. 10 x 10 opens on Saturday 30th June and runs til the 4th of August so be sure to pop past for some birthday cake! 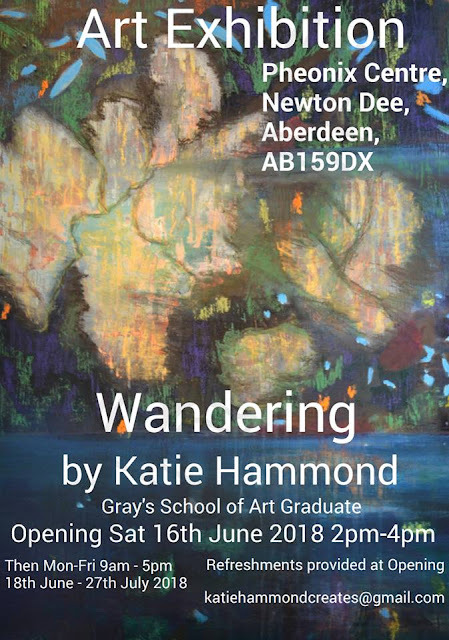 Check out Katie Hammonds new show, 'Wandering' which opens at the wonderful Phoenix Centre out in Newton Dee. The Phoenix Centre was recently featured in a BBC documentary about Newton Dee and all the fantastic work that happens there. 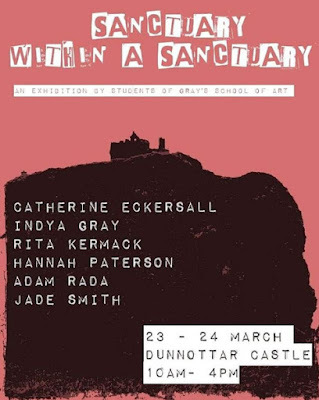 Definitely worth a visit and you can take in Katie's show too! Show runs til 27th july. You'll find event details here. 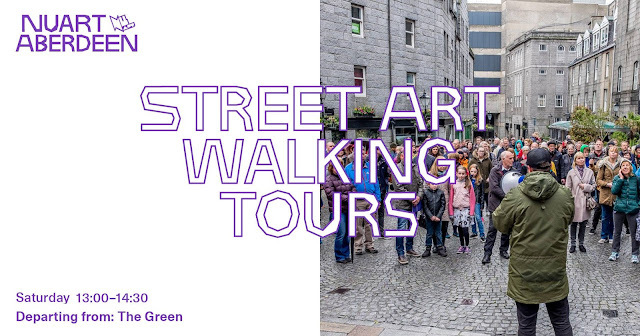 Every Saturday til September you'll be able to join one of our free Street Art Walking Tours. 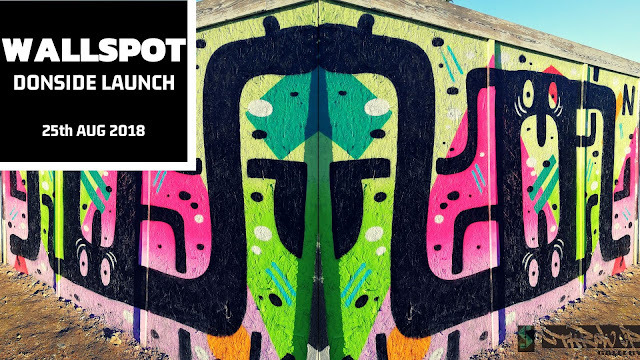 Tours depart at 1pm from The Green (outside Café Contour) and take in the majority of the Nuart artworks created this year along with a few from last year and we'll also speak about the Painted Doors and other street art we find along the way. 'View from the Deck' also continues at the Maratime Museum. 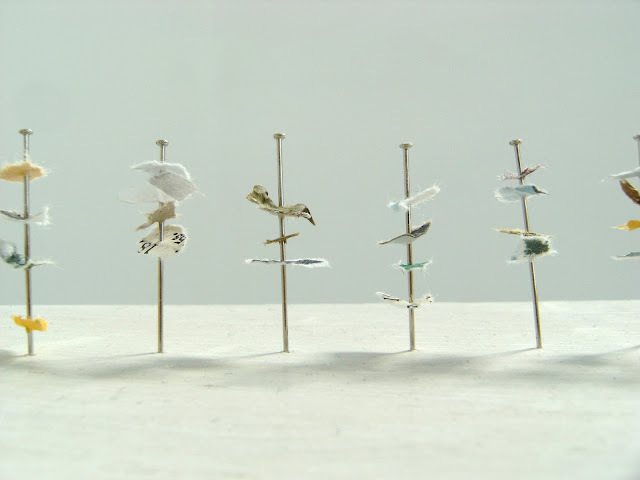 As part of the show there's a special exhibition tour taking place on the 29th June with the artist, Sue Jane Taylor. Don't worry if you can't make the tour though as the show runs til the 28th October so plenty of time to check out what's on at the museum. 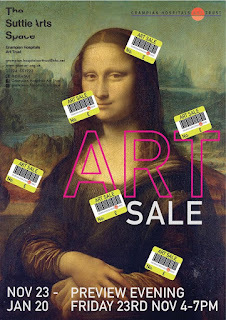 You can find out whats on across the galleries and museums here. 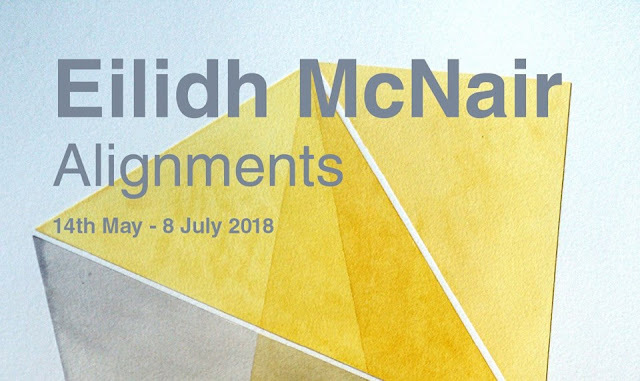 Still a week left to see 'Alignments' by Eilidh McNair at the small gallery (down the stairs from the main reception / shops) at ARI (yes the hospital). 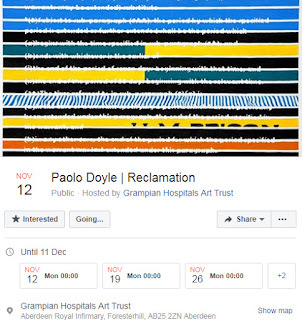 The team at Grampian Hospitals Art Trust put a lot of work into not only curating shows in the NHS spaces across the North East but also look after a permanent collection of artworks from local artists and international names which hopefuly help on the less serious visits to ARI. 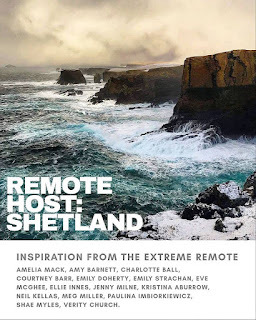 'Mustard Blanket' also opens at the Suttie Art Space on the 9th of July, further details down the page. 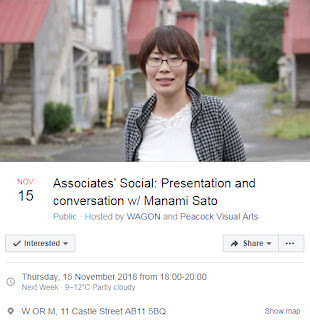 You can find out more details GHAT and their work here. The Stonehaven Midsummer Beer Happening kicks off tomorrow (28th June) with beer, live music and food all on offer with a rather cool bar painted by Jetpack Dinosaur. 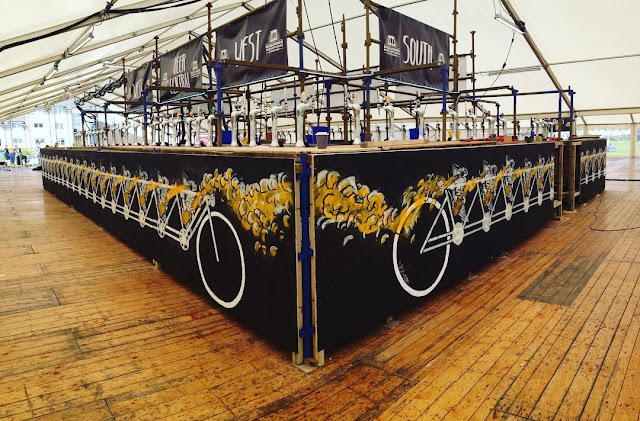 Its nice to see a creative element come in these types of events whether its a full on live painting / graffiti wall or simply artists getting paid to create a nice piece of work. Either way, the beer tandem awaits you in Stonehaven! The Happening is on 28th & 29th June, find full details here. Hysteria: Women & Non Binary Performance Night is taking place at Spin tomorrow night (June 28th). 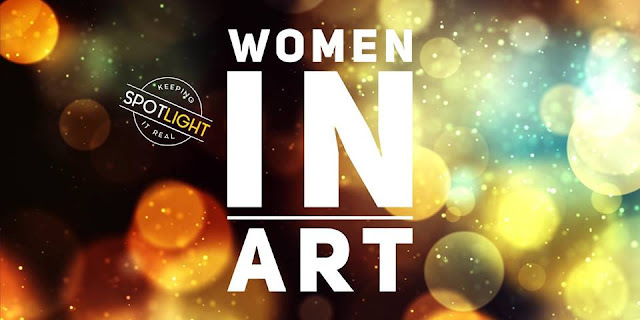 The night offers a pro female agenda with performances, singers & poets being the order of the day. You can find full details about the event here. Local artist, painter, glass maker, sculptor and all round creative queen Shelagh Swanson is having another open studios at her new space located down beside Union Square. 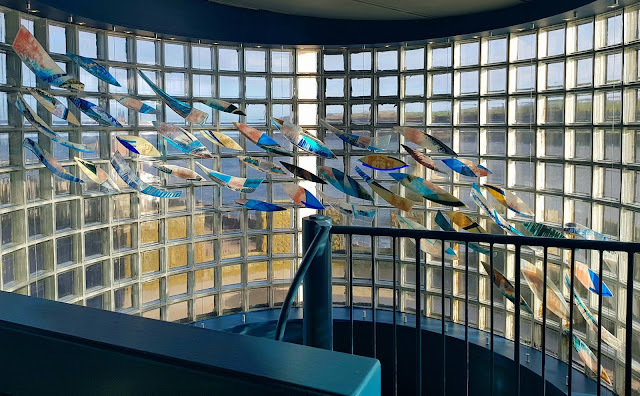 With specialist facilities for glass fusing workshops you can sign up for a session, book a place for a friend or simply find out a little bit more about what Shelagh does. 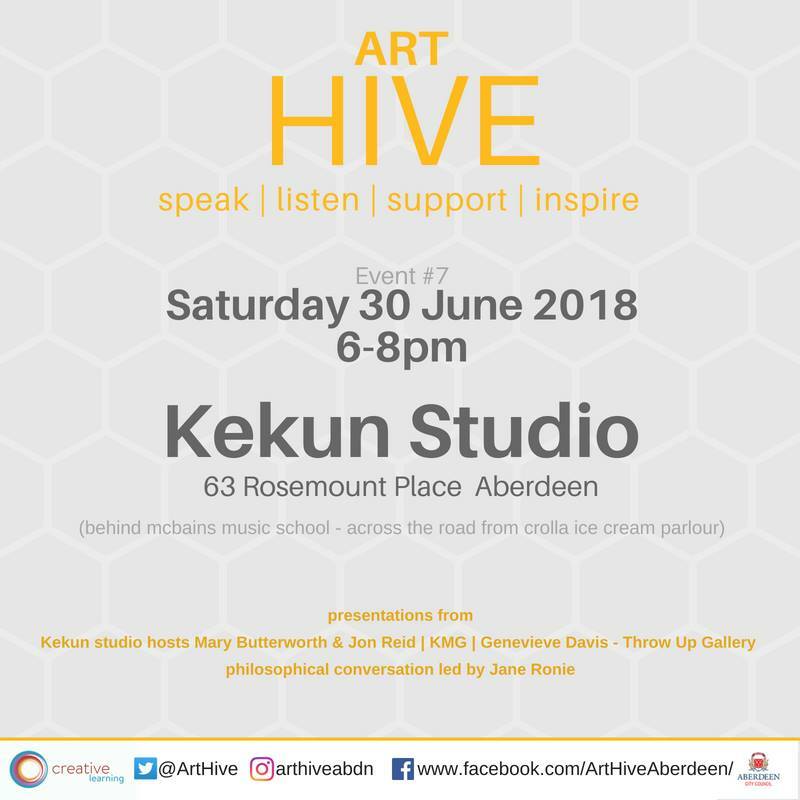 Its always a pleasure to hear from artists about their work so be sure to pop past for a chat and a cuppa. 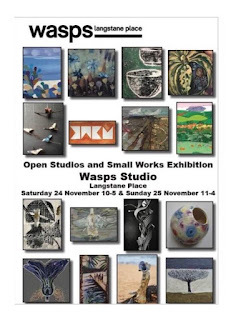 The open studios runs this weekend and you'll find the event details here. 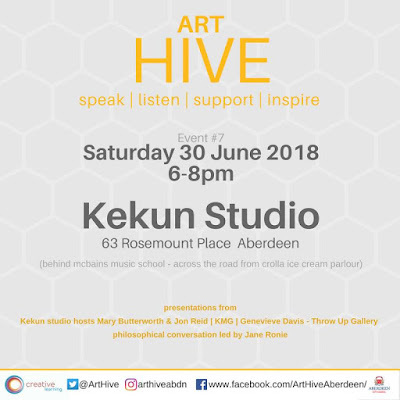 Well be hosting out first event at the studio with Art Hive. 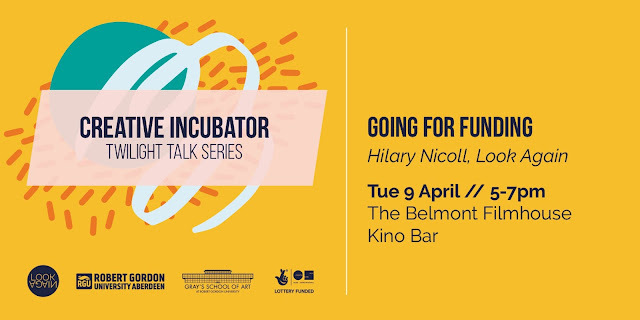 We'll be presenting about the studio, the ideas and aims of the space and a bit about what we do along with talks from our good friends KMG and Genevive of throwup gallery. There will be a philosophical conversation with Jane Ronie and then we're gonna switch things up for a small studio party afterwards. Space is gonna be pretty limited because its only a small studio but you can find the details and book a place here. 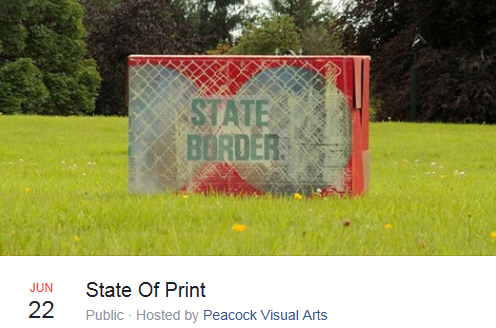 State of Print is showing at Peacock Visual Arts W or M space on the Castlegate from Monday to Saturday 30th June. The show has been on the road setting off from Ireland to Dundee, Aberdeen where its currently housed before ending up in Glasgow. At each step artists from the respective city will be adding to the labrynth of printed boxes adding a new layer to the show. 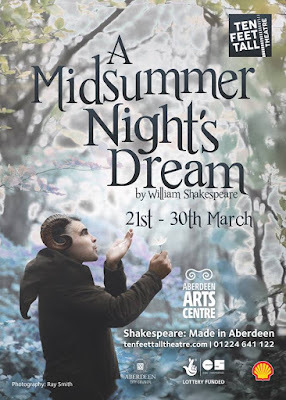 One of the best show's I've seen this year and well worth popping down to see, you might get lucky and the exchange rate on the SOP might make you rich! 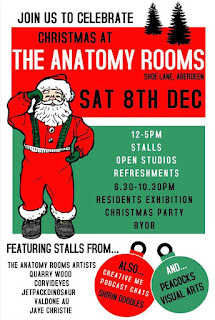 The show runs til 5pm this Saturday and you'll find more info here. 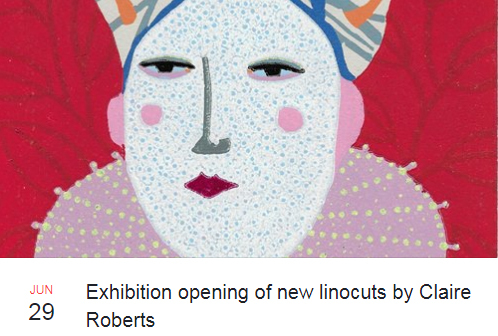 Parx Cafe will be presenting a show of new linocut works by Claire Roberts. This is a show that's come out of the blue and I don't have much details for other than the event page on Facebook. And that's a good thing as ill get a fresh experience and a chance to discover some new work by a new artist! 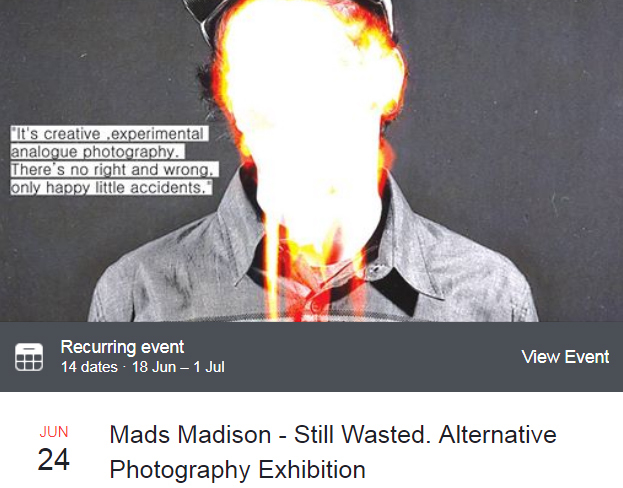 Six Degrees currently have a photography exhibition on display from Mads Madison. Not being much of a drinker I haven't been in to see the show yet but its running til the 1st July so still a week to see what its all about! 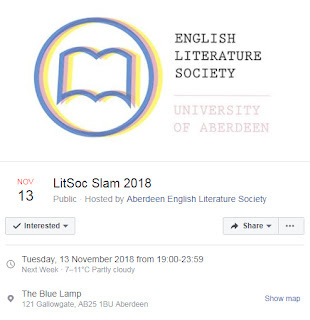 You can find details on the event page. Friends at Nuart Gallery in Stavanger open a new show 'Decked Out' which uses the skateboard as a canvas. Although not a new concept, with the incredible selection of artists involved there's sure to be a few interesting interpretations, the Dr D aka Subvertiser keyboard board has already caught my attention! 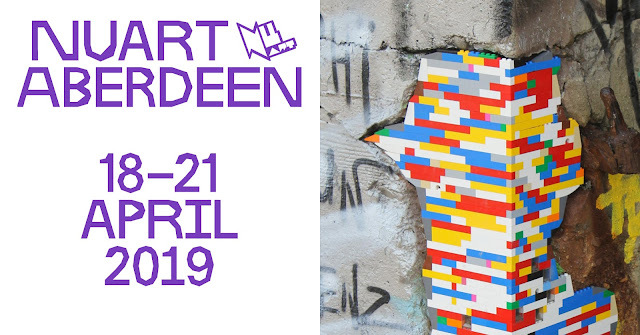 Be sure to check it out if you're over that way and keep an eye out for Nuart Aberdeen favourites including Ciaran Globel, Conzo Throb, Add Fuel & Snik. 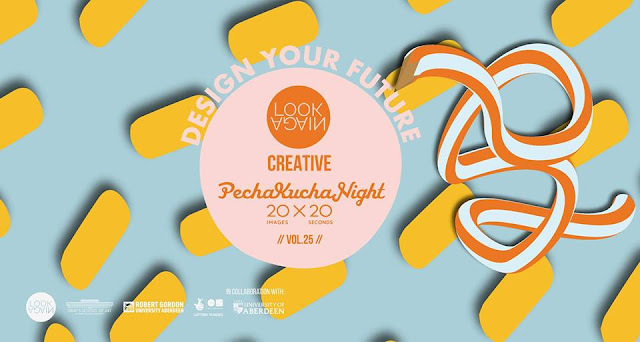 This weekend see's the return of Look Again Visual Art & Design Festival, now in its 4th year! The festival line up includes a new public art commission from London design extraordinaire Supermundane, a special ice cream collab with Mackies and a host of pop up events, talks, design markets and more. You'll find the programme online here so be sure to get out and see the city through fresh eyes, the Oor Monsters glasses should help with that and make sure to pick up a copy of Oor News too! 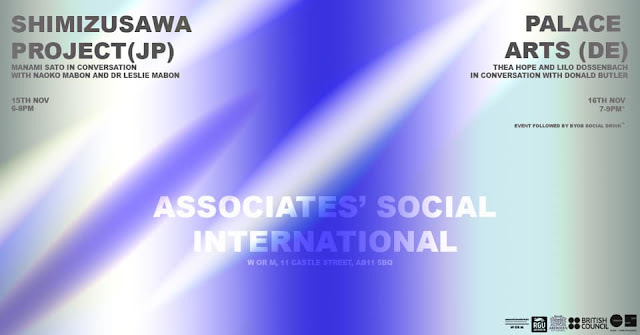 This weekend also see's the opening of the Grays Degree Show. Always a highlight and also a great chance to see what's been happening behind those closed doors. 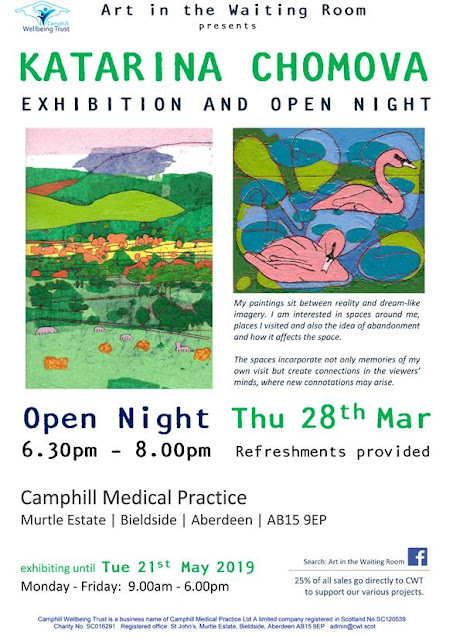 The opening night is always a bit mad as friends and family descend on the school to see the fruits of each artists labour, for some the conclusion of a 4 year journey. 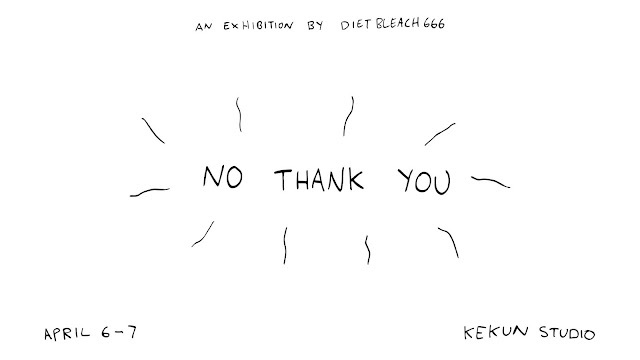 All too often I see people write off the degree show, usually based on what they've managed to see on opening night. I'd advise 2 or even 3 visits, take it in properly and without the crowds, you might be suprised and discover work that captivates and inspires. The lovely team at All Night Passion will be hosting the official after party at the Tunnels from 11pm. Congrats to everyone who made it through this year! I'll be spinning some records and setting up some projections this Saturday (16th June) at Foodstory cafe. 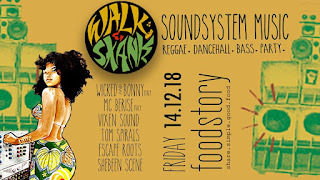 With an expansive new space up stairs, the team at Foodstory are looking to try something a little different and have offered the space to local DJs and artists to create events and happenings. I attended the Fair Play Crew party a few weeks back and found myself surrounded by new faces. The space was a perfect blend of chilled house party vibes but without the usual animals that ruin all the fun. Expect an eclectic mix and some interesting visuals! 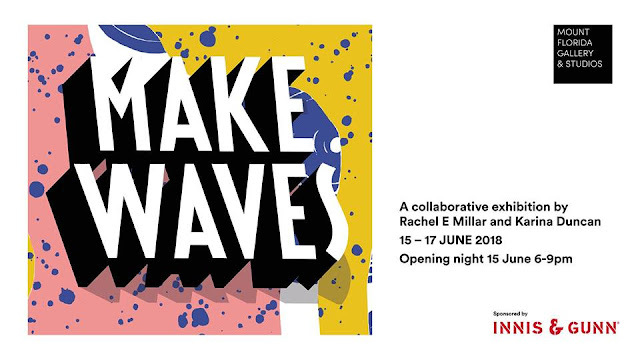 If you happen to be in Glasgow then why not check out 'Make Waves' a new collaborative exhibition by Rachel E Millar and Karina Duncan at Mount Florida Gallery & Studio. Rachel is an artist and sign painter based in Glasgow while Karina focuses mainly on textile work. This one just shot across my bow as a friend shared it on facebook which is where I gather 99% of my 'What's On' knowledge. 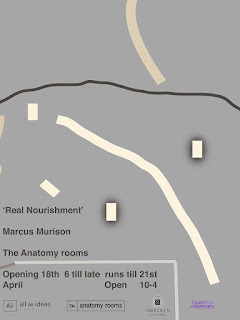 Mount Florida Studios looks like an interesting place too so check them out here. If you happen to be in Edinburgh then I'd recommend checking out 'Icon Oracle' by Kirsty Whiten at Arusha Gallery. Mythology, female empowerment, witch craft and hyena-vaginas are the order of the day, all served up through Kirstys incredible portraits. If you spent any time down in Leith then you'll probably have seen her old mural (now gone) or the centaur chavs which adorned a few walls in Glasgow. You might recognise the distinctive stylings of Scottish graff legend Elph. He's got a new limited edition riso print for sale via his online shop. 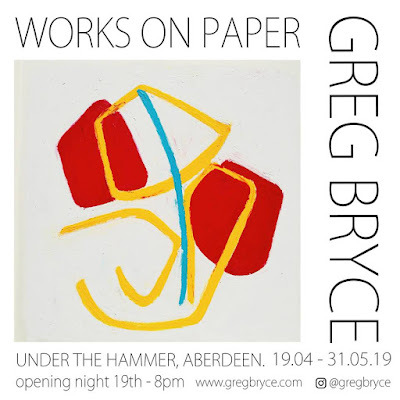 You can see his work down Leith Walk in Edinburgh as well as on Union Terrace Gardens in Aberdeen and on a few painted doors at the back of the Trinity Centre. If you don't know Elph then I highly recommend checking out his instagram and if you like what you see be sure to cop a print before they go, at £14 they won't last long!